Houchang Chehabi is a cultural historian of Iran who teaches at Boston University. 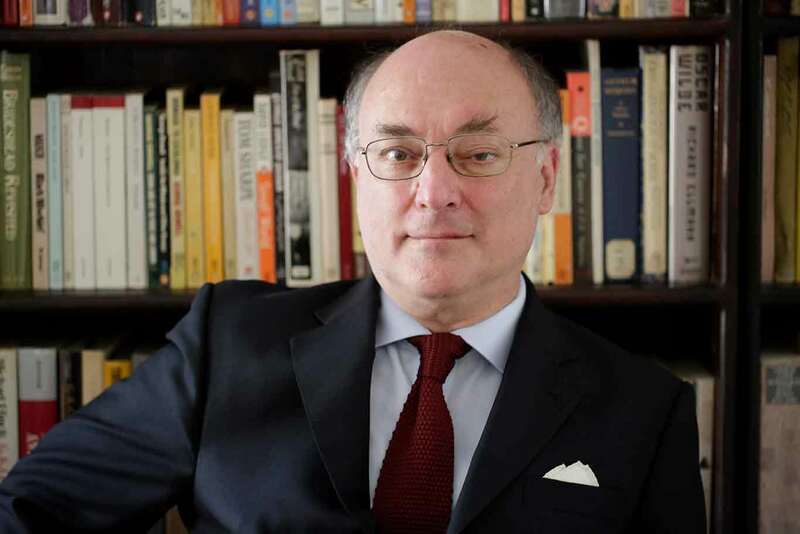 Born in Tehran to a German mother and an Iranian father, he received his undergraduate education in France before going to the United States, where he studied at Yale University, receiving his PhD in 1986. He is also a fine gourmet and an excellent cook. Professor Chehabi remembers the tasty Sāndevich-e Kālbās of his adolescence in Tehran. Few people would spontaneously associate the pungent smell of raw garlic with the delicate aroma of almonds and lemon rind, and yet I have to confess that my personal Proustian madeleine experience is triggered by allium sativum. When I smell garlic in a kitchen, pleasant memories of my adolescence in Tehran rise up in me. Memories not of garlic per se, but of the mortadella sandwiches that were the most common deli food in those days. We used to have this sāndevich-e kālbās, as it is called in Persian, during class breaks, for lunch, or before going to the movies. In fact, sandwich stores near cinemas often had a sign in the window that said “avval sāndevich, ba‘d sinemā,” i.e. first sandwich, then cinema. 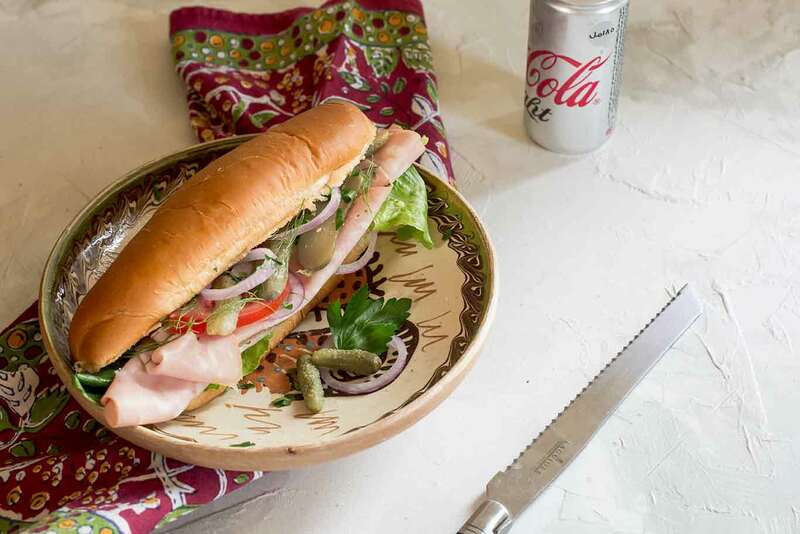 The sandwich would almost always be accompanied by a bottle of Coca or Pepsi Cola, and to this day I crave a cola drink when I treat myself to the closest thing to the mortadella sandwich of my youth, which is what Americans call an Italian sandwich. But there was nothing Italian about our sandwich, other than that the cold cut that gave it its name resembled mortadella more than anything else. Like most of Iran’s twentieth-century deli culture, kālbās had come from Russia, where kolbasa is a generic term for large sausages that are sliced. Our kālbās came in two basic types, kālbās bā charbi (with fat cubes) and kālbās bi charbi (without fat cubes, a bit like what Americans call “bologna”) and smelled of garlic. Salami, ham, and frankfurters were also available, but they were not nearly as popular as kālbās. Some stores added a feminine Arabic plural to the Russian loanword, and used kālbāsjāt as the equivalent of salumi or charcuterie. The shape of this sandwich owed little to the finger food invented for John Montague, the Fourth Earl of Sandwich, in the eighteenth century; it resembled more what Americans call a submarine. The bread was nān sefid, “white bread,” a sourdough wheat loaf about ten inches long and 2.5 inches in diameter, with a thin crust that was much less crunchy than that of a French baguette. Cut lengthwise, one half was buttered, upon which the sandwich was filled with kālbās and an assortment of other ingredients, collectively known as mokhallafāt, a word that in Persian means something like “miscellaneous secondary accompanying ingredients.” These included tomato slices, pickled cucumbers, some raw onion rings, and a few sprigs of parsley. The better the deli store, the more varied the mokhallafāt. By common consensus the best delicatessen in Tehran was André, an Armenian-owned café in central Tehran, not far from my high school and from the campus of the University of Tehran. It was looted in the course of the revolution in November 1978, presumably because alcohol was available and because it served processed meats made with pork. This was actually only partially true. While ham, called jāmbon, was indeed made with pork, pork was actually too expensive to be used for kālbās. Fortunately, cold cuts survived the revolution in the new guise of kālbās-e eslāmi and jāmbon-e eslāmi, Islamic mortadella and ham. While hot dogs and hamburgers have become more common than the deli sandwiches of my youth, the latter are still available and as delicious as ever. Butter generously as it gives the sandwich a good stating base. Fold the mortadella in such a way as to fit inside the bread. Arrange the tomato slices, the pickles and the onion rings along the length of the sandwich. Sprinkle the parsley and dill, fold back and press down to keep the ingredients in. Get a fizzy drink and take a bite. Note: the more generous the filling, the more delicious the sandwich. Precisely! This recipe took me to my youth in Tehran! Hmmmm… I taste it like it was yesterday. Super bon sandwich, Chenchen!!! très joli retour pre-révolutionnaire “Chez André.” Moi, je vais me le faire avec du jamón serrano parce que la mortadella, non mi piace!